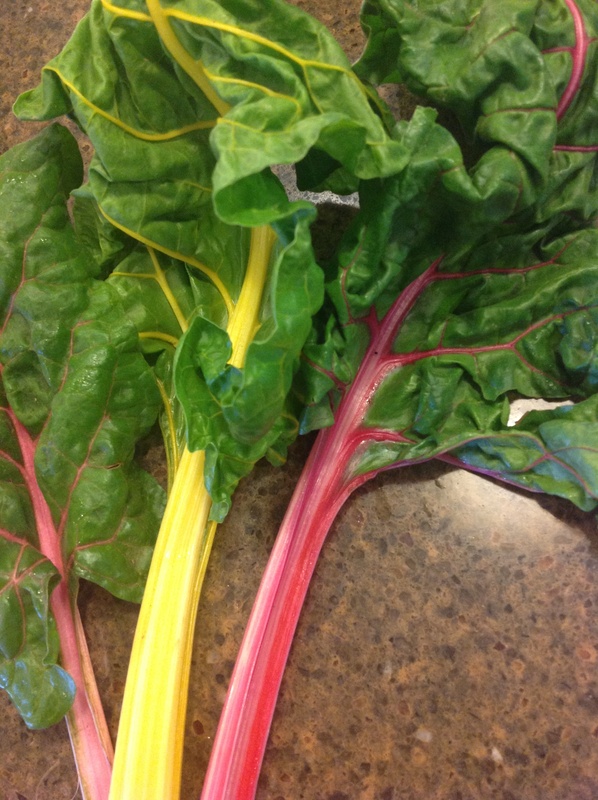 The Swiss chard we have been getting in the CSA box is so pretty! I am always excited to try new recipes with this power green. 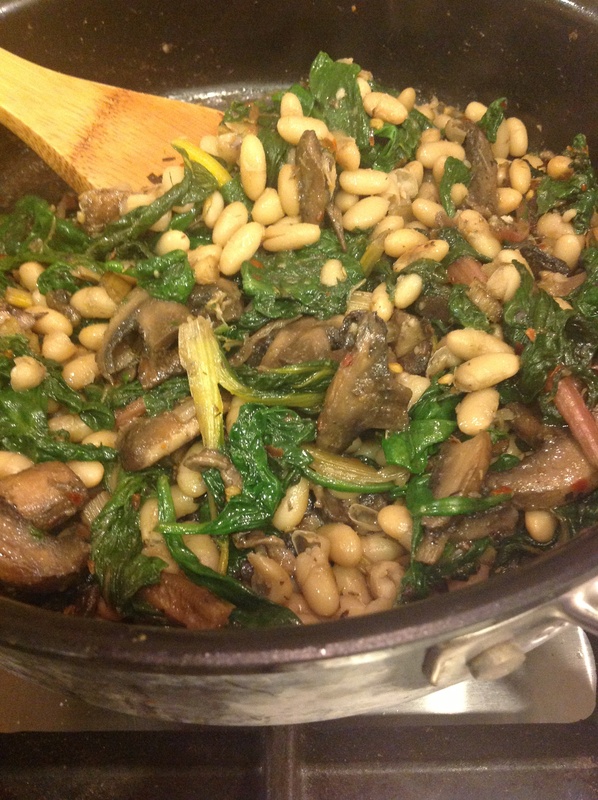 With this dish I added mushrooms and white beans for some extra protein, so it can be a complete vegetarian meal. 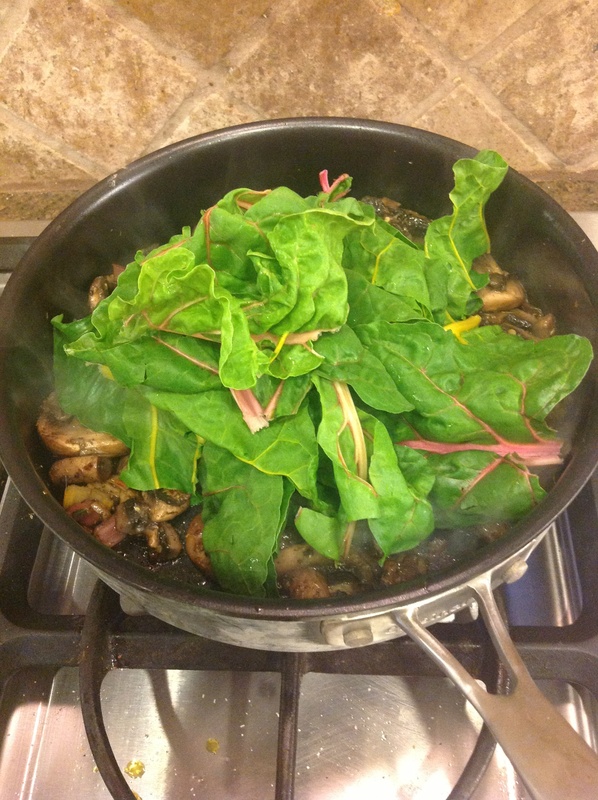 I always like adding garlic and red pepper to my greens for an extra pop of flavor. 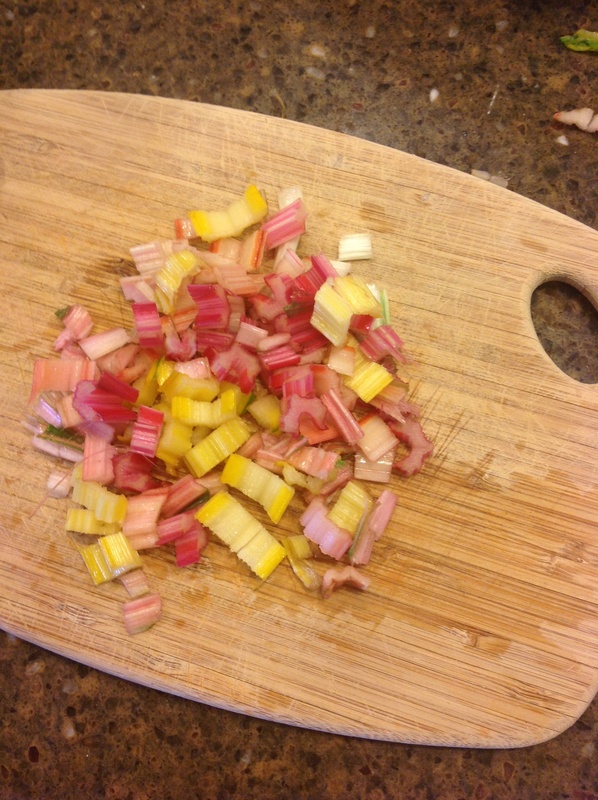 Remove the stems from the chard and dice them. 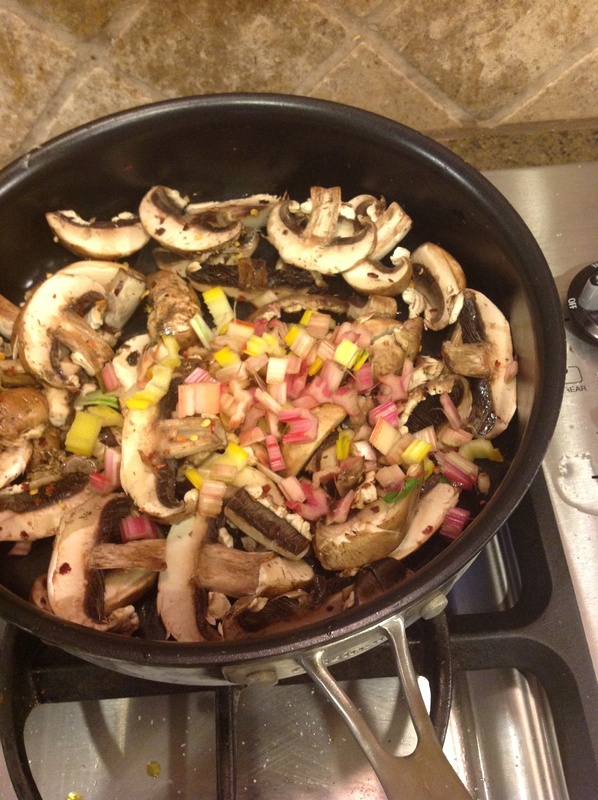 Heat oil in a skillet over medium heat and add the stems, mushrooms, garlic, red pepper, and salt and pepper. 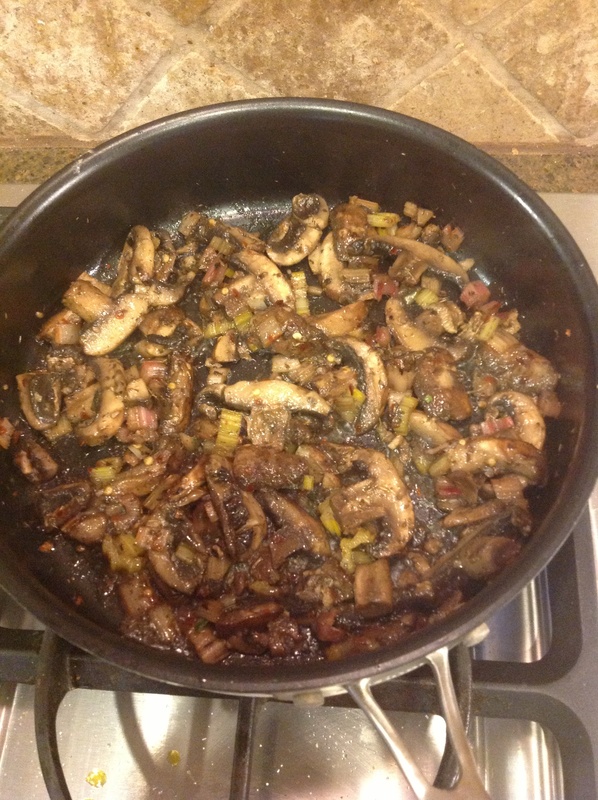 Cook over medium high until mushrooms are browned. 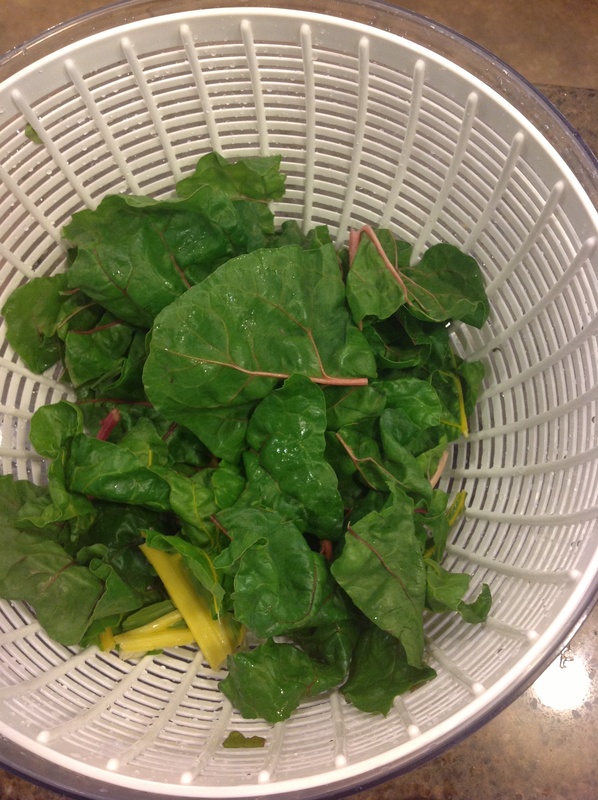 Add the leaves of the chard and cook it down a bit. Then, add the splash of broth and wine. Add the beans and simmer for several minutes.